As major components of downstream oil and gas workflows, import, export, and storage terminals require thoughtful planning, design, and construction. These terminals act as waypoints for trucks, trains, boats, and pipelines to keep the flow of crude oil and petrochemicals moving, not only across cities and states but also to other countries. 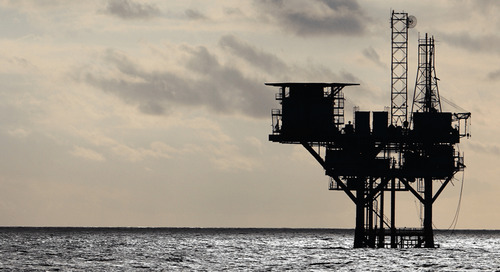 Because these terminals often need to be located along a coast or near other necessary facilities, safety and environmental concerns must be addressed each step of the way — from siting to decommissioning. Many considerations go into designing and constructing fuel terminals and their storage components. Before design can even begin, a facility must be sited in an appropriate place, typically undergoing some sort of approval process. For example, liquefied natural gas (LNG) terminal siting in the United States must go through the Federal Energy Regulatory Commission (FERC) for approval, which could take as long as three years. 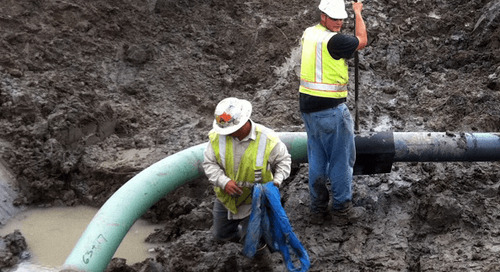 Many sites are usually evaluated through a high-level screening process that scrutinizes any deficiencies that would prevent them from meeting regulatory, environmental, and budget requirements. Once the design phase is started, considerations of the type and quantity of what will be stored largely determine the design. Will the facility handle crude oil, feedstock, refined petrochemical products, or a combination of these things? What is the expected maximum barrels per day flow through the facility? What logistic infrastructure is required (i.e., railroad loading and unloading bays, pipeline connections, and/or ship and barge docks)? The answers to these questions shape how designs will be approached; including aspects such as the size of the tank, whether the tanks are horizontal or vertical, and what type of protection is needed to prevent leaks and corrosion. Finally, the designs must be evaluated and verified to ensure safe and consistent operation while maintaining a construction and operational cost estimate within the limits of a company’s budget.